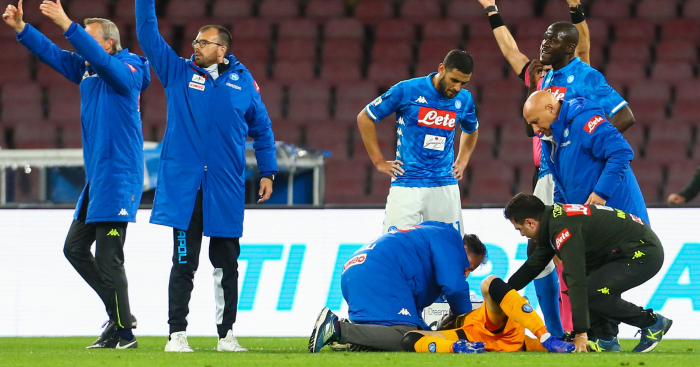 Football has been accused of failing to take concussion seriously by a brain injury charity after Napoli goalkeeper David Ospina collapsed during a match on Sunday. Ospina, on loan at the Italian club from Arsenal, fell to the turf in the Serie A game with Udinese having earlier suffered a head injury during a clash with opponent Ignacio Pussetto. The incident involving the Colombia international, who has since been discharged from hospital and given the all clear, came after Lyon keeper Anthony Lopes was temporarily allowed to continue in last Wednesday’s Champions League game against Barcelona after being injured when he dived at the feet of Philippe Coutinho. Charity Headway, which works to improve life after brain injuries, has expressed dismay and believes FIFA protocols are not being followed. “We are deeply shocked and appalled at these latest examples of concussion protocols not being followed in football,” said Headway chief executive Peter McCabe. “David Ospina’s treatment is particularly concerning and highlights exactly why we’ve always called for an ‘if in doubt, sit it out’ approach to concussion. “FIFA’s protocols clearly state that if concussion is suspected – not clinically diagnosed – but suspected, the player should be removed from the field and not allowed to return. “This is to not only protect the player from a secondary blow to the head, which could exacerbate the injury, but also to recognise the often delayed presentation of symptoms. “Both players have been badly let down and left unprotected by football’s failure to take concussion seriously. Press Association Sport has contacted FIFA for comment. Napoli coach Carlo Ancelotti earlier tweeted that he had visited Ospina. The club announced the 30-year-old was set for some rest and would not be joining up with his country during the international break. 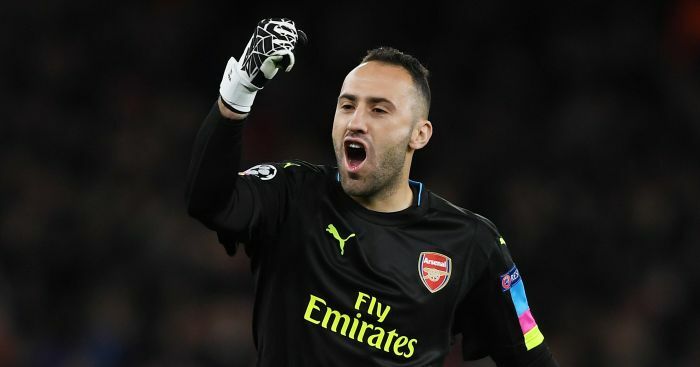 “David Ospina was discharged this afternoon from the Pineta Grande Clinic where he had been hospitalised last night for a series of investigations and specialist visits. All tests are negative,” a statement from Napoli on the official club website read. “Visits excluded any problems. The diagnosis is of vagal crisis [fainting] resolved within a few hours. David Ospina suffered a blow to the head that Napoli treated with a bandage. Then he fainted. Top work. Ospina needs to play a certain number of games to earn an Arsenal exit. But Napoli say he's joining them anyway.